The arts, in support of the Pine Crest School mission, complement the advanced academic experience by offering a comprehensive pre-kindergarten to twelfth grade curriculum. Pine Crest School believes that involvement in the arts is integral to the development of the educated individual. Faculty members are committed to inspiring creativity and an appreciation for learning in students. Many of our faculty hold graduate and doctoral degrees from renowned universities and conservatories from around the globe and have active professional careers in their respective fields. Beginning in fourth grade and throughout Middle and Upper School, Pine Crest students have an opportunity to play a variety of band instruments, including flute, clarinet, saxophone, French horn, trumpet, trombone, baritone, tuba, or percussion. We offer Lower School band, Middle School band, and jazz band, Upper School band, pep band, and jazz honors ensemble. Private, semi-private, and group lessons are available. Pine Crest offers chorus in grades two through twelve. Students learn vocal technique, music reading, tone production, breath control, and artistic production in a variety of languages. There are eight ensembles across the Lower, Middle and Upper School divisions. Orchestra is offered to students in grades pre-kindergarten through twelve. Instruments include violin, viola, cello, and bass. Dance is offered to students in pre-kindergarten through twelve. Students wishing to continue dance will study ballet as the fundamental style in grades three through eight. Upper School dancers may choose from advanced ballet, contemporary, and introduction to dance. After-school offerings include ballet, tap, jazz, and contemporary styles. Students in Middle and Upper School may build their communication skills through participation in the debate and forensics program. Middle School students take a public speaking wheel class focusing on research, preparation, delivery, and evaluation of informative, persuasive, and special occasion public speaking. Upper School students may elect to take debate and forensics, studying policy debate, argumentation, current events, and logic. 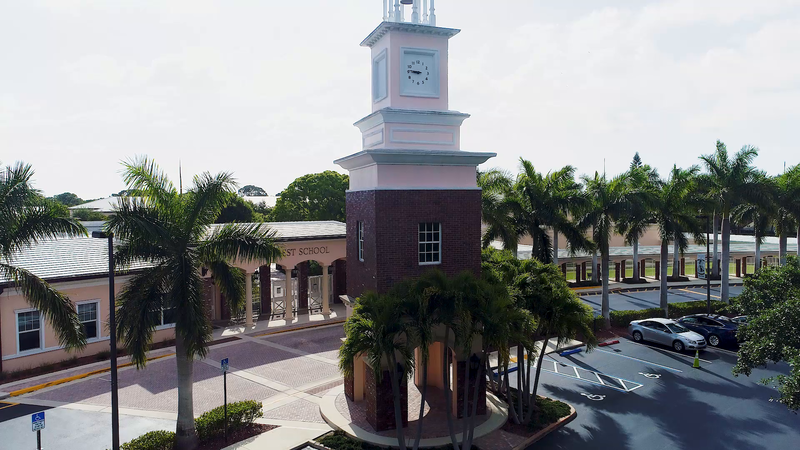 The Pine Crest debate team hosts the annual Crestian Policy Classic Debate Tournament and regularly receives high ratings in the many national speech and debate competitions they attend each year. Theater classes are available to students in grades four through twelve. Theater develops students’ creative process and promotes self-expression and self-discovery. We offer a Middle School International Thespian Troupe, Upper School Thespian Troupe, Upper School acting classes and drama club. All students are encouraged to participate in the annual division plays and musicals, either on stage or as part of the backstage production. Visual art classes are offered from pre-kindergarten through grade twelve. Lower School students attend art classes as part of their weekly schedules. Using a variety of media and themes, students explore shape, building, portraiture, and art history. Middle School students take an art appreciation wheel class as part of their required curriculum and may elect to take additional studio art classes. Upper School students have the opportunity to advance their skills through digital arts, drawing and painting, sculpture and ceramics, and a variety of 2D and 3D studio design courses. Upper School students who qualify may take art classes at the Advanced Placement (AP) and post-AP levels. Private and group lessons are available.